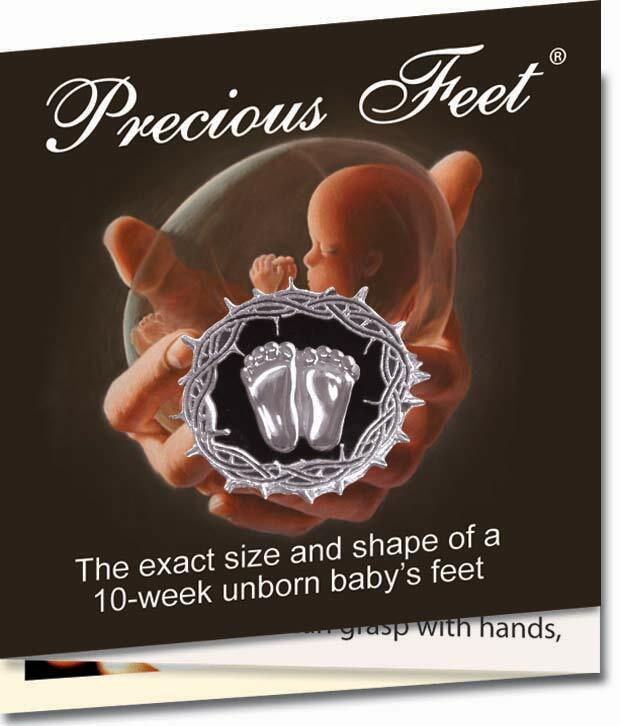 Description: This brochure gives the history of the Precious Feet including their inspiration and acceptance by the pro-life community as the International Pro-Life Symbol. Description: One of our most popular pieces - the crown of thorns surrounds the Precious Feet on a black background. A powerful pro-life witness. The pin shows the babies feet at 10 weeks in the womb. When women ask about it, if they are considering an abortion, it gets them to thinking and possibly asking questions and then changing their mind. This is a great product at a really great price. We use these at our pro life marches and give to friends. I wear and share these at Easter to bring awareness that Christ died for each one of these precious babies as well as me and the person to whom I am speaking. These are a beautiful way to thank our Medical Advisory Board and other donors! They are a great gift that show their pro-life stance. 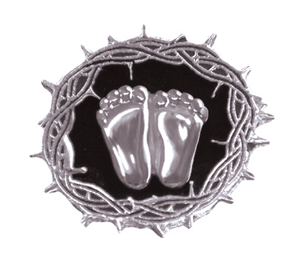 The silver precious feet pin is one that I would really love to wear. Our pro-life friends love these pendants. 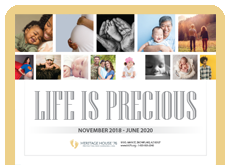 My wife and I gave them out to several of our dedicated pro-lifers in our Parish. This pendant is a great conversation starter, allowing me to witness more to people especially at my work place. They also look great on a tie.